My name is So Pak Ho, but people call me Rocky. 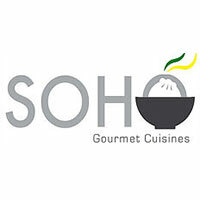 I am the owner and cook here at SoHo Gourmet Cuisines. I was born in Hong Kong and raised here in Madison. My passion for food led me to first open up a food cart, and then this restaurant! But I couldn’t have done it without your support. Other than the basics that I learned from my grandmother back in Hong Kong, I am a self taught cook with an active palate. My influences come from traveling around the world and eating everything I can get my hands on. SoHo Gourmet Cuisines is a restaurant where I can use the world’s great flavors and fresh ingredients to create new food concepts. I call it the “SoHo Twist”. Everything I make is influenced by a country I have been to, but you will never find the “SoHo Twist” anywhere else but right here in Fitchburg!